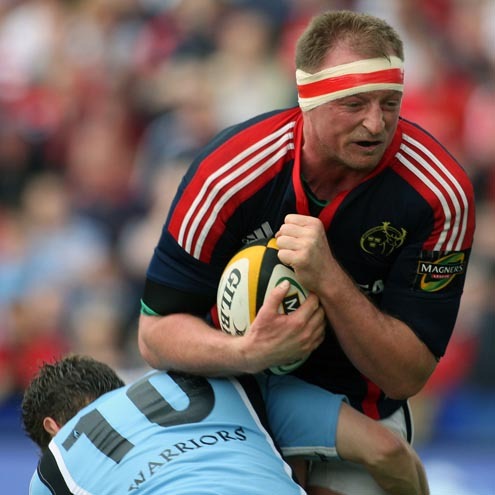 Mick O'Driscoll has announced his intention to retire from rugby at the end of the current season. Just a month after making his debut, O'Driscoll enjoyed his first taste of Heineken Cup before going on to make a further 54 appearances for the Reds. As well as his time at Munster O'Driscoll also enjoyed a two-season stint with French side Perpignan, while he has won 23 caps for Ireland, making his debut against Romania in 2001. His final cap came in last August's World Cup warm-up against Scotland. O'Driscoll has been one of Munster's most consistent performers and he showed good leadership skills when captaining the side in Paul O'Connell's absence. He was also captain of the side that was narrowly beaten by New Zealand at Thomond Park in November 2008. Although the Heineken Cup is no longer a possibility, O'Driscoll will be looking to end his career with another Celtic League medal and he is included in the Munster squad for Saturday's clash with Scarlets in Wales.